Auctioneer Lee Doran has been buying and selling antiques tools, toys and collectibles since his childhood. Through his experiences in selling at flea markets and online auction platforms Lee has developed a keen sense of the worth and salability of unique items. As an early adopter of the Ebay platform, Mr. Doran is comfortable with all aspects of online and live auction environments. 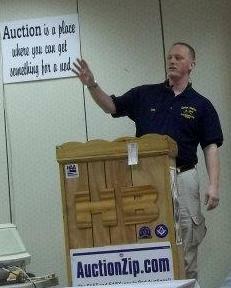 Before opening Doran Auctions in Beaver Falls, PA, Lee held several auctions in the Coraopolis area. He has also participated in auctions at other venues as well as charity auctions. Doran Auctions is proud to support local causes by providing services for charity events. Please contact us for further details. Lee is a 2012 graduate of Clarion University’s Auctioneering school. Prior to becoming an auctioneer, Lee served in the United States Army. In 2013, Mr. Doran competed against other up and coming auctioneers at the PAA’s annual convention in Harrisburg, PA.
Amber has been managing offices and working with the public in various positions for over 15 years. As an avid reader and music fan, Ms. Lutes has a working knowledge of printed materials, music memorabilia and musical instruments. Her specialties are horror and fantasy books, especially the works of Terry Pratchett, Stephen King and Neil Gaiman and punk rock memorabilia. 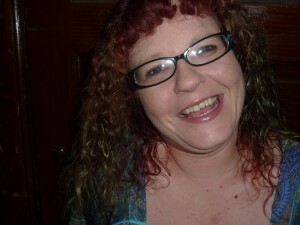 Though new to the auction business, she has been attending yard sales and flea markets since childhood. In addition to managing the Doran Auctions office and daily operations, Amber is also the owner of Twice Upon a Time Used Books which operates within the auction house. Ms. Lutes is a former early childhood educator who supports literacy for young children. Amber holds a Bachelor’s of Science degree in Psychology from Ellis College. Lily joined the Doran Auctions family in 2013. While she doesn’t help much in the day to day operations of the business, she is very skilled at napping in corners and demanding belly rubs. We let her think she’s the guard dog. We also let her think she’s a Rottweiler. 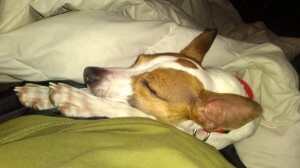 Lily also answers to Lilykins and Count Barkcula. Lily enjoys being wherever we are, having as much attention as possible and barking at just about everything. We don’t call her Count Barkcula for nothing. Because she has no concept of time and therefore thinks she has been orphaned if we leave her for more than half a second, she comes to the auction house every day.